(MENAFN - Trend News Agency) US President Donald Trump and his Chinese counterpart, Xi Jinping, may meet in Vietnam on 27-28 February to discuss ways to resolve the US-Chinese trade dispute, Trend reported citing Sputnik. The Vietnamese coastal city of Da Nang is a possible venue for the meeting between the two leaders, the South China Morning Post newspaper specified. 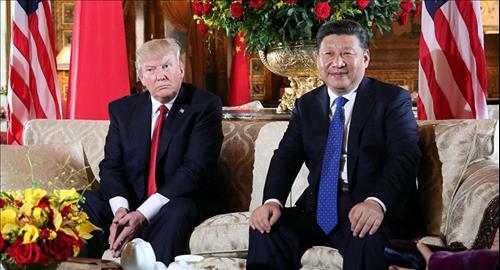 At the G20 summit in Argentina in December, Trump and Xi agreed to a 90-day truce in their tariff war to allow room for a new trade agreement. Under a previous bilateral agreement reached in May 2018, Beijing pledged to buy more US goods and address concerns over China's alleged unfair trade practices. On Thursday, Trump said that US trade talks with China were going well, adding that a final deal would not be made until his meeting with Xi, slated for the "near future". On Friday, the Chinese Ministry of Commerce said that China and the United States were planning to create a special bilateral mechanism for the implementation of existing agreements settling their trade dispute. The sides have reached 'principled' mutual understanding on the framework of such mechanism, the Chinese Ministry of Commerce noted. The Chinese and US delegations have made progress during talks in Washington, DC this week, but US tariffs on Chinese goods will increase if an agreement is not reached by the 1 March deadline, the White House said in a statement after the conclusion of US-China trade talks on Thursday. US Federal Reserve Chairman Jerome Powell told reporters on Wednesday that the US trade policy is a source of concern at the Federal Reserve, even though the present level of tariffs is not enough in both the United States and China to have material effects on the GDP of either nation's economy. Trade between China and the United States in 2018 surged by 25.8 percent compared to the previous year and reached $633.5 billion despite the ongoing disputes between the world's two largest economies, according to the Chinese General Administration of Customs.